Hi everyone! It feels like its been such a loooong time since I used and reviewed Korean sheet masks. I received a bunch of Korean skincare products in my third haul from Skin18.com and I have recently started using them. Now you will see their reviews back to back here on Gorgeously Flawed. ? 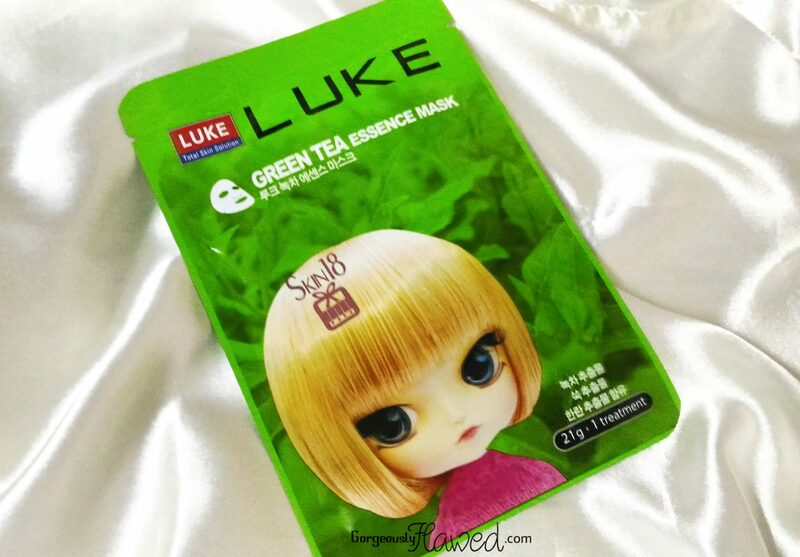 Let’s start with the review of this Luke Green Tea Essence Mask. Premature aging can be resisted through green tea application it heals the condition of fine lines, age spots, loose skin, and wrinkles green tea contain antioxidants to fight premature aging by destroying free radicals and redrawing damaged cells. The ingredients of green tea hinder the enzymes that break down collagen and lasting, to give your skin a firm support. Containing extracts also can help to keep skin healthy looking and elastic. Overall natural Moisturizers increase and maintain facial elasticity and remove impurities. A highly enriched skin vitality material penetrates deeply into the skin. Refreshes, soothes and firms tired skin, and improves elasticity. Ingredients – Water, glycerin, butylene glycol, betaine, glycereth-26, panthenol, camellia sinensis leaf extract, (105mg), cucumis sativus (cucumber) fruit extract, aloe barbadensis leaf extract, chamomilla recutita (matricaria) flower extract, aloe barbadensis leaf juice powder, Artemisia vulgaris extract, phalaenopsis amabilis extract, calathe discolor extract, pinus densiflora extract, cymbidium kanan extract, salix alba (willow) bark extract, allantoin, dipotassium glycyrrhizate, xanthan gum, carbomer, PEG-60 hydrogenated castor oil, polysorbate 80, glyceryl acrylate/acrylic acid copolymer, propylene glycol, phenoxyethanol, fragrance, sodium hydroxide, disodium EDTA. 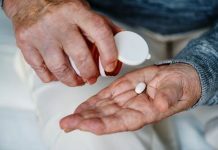 I’m still having the acne trouble which I wrote about in one of my previous posts. So I used this green tea based sheet mask with the hope that it will help me to get rid of these uninvited guests who have decided to stay on my face permanently! 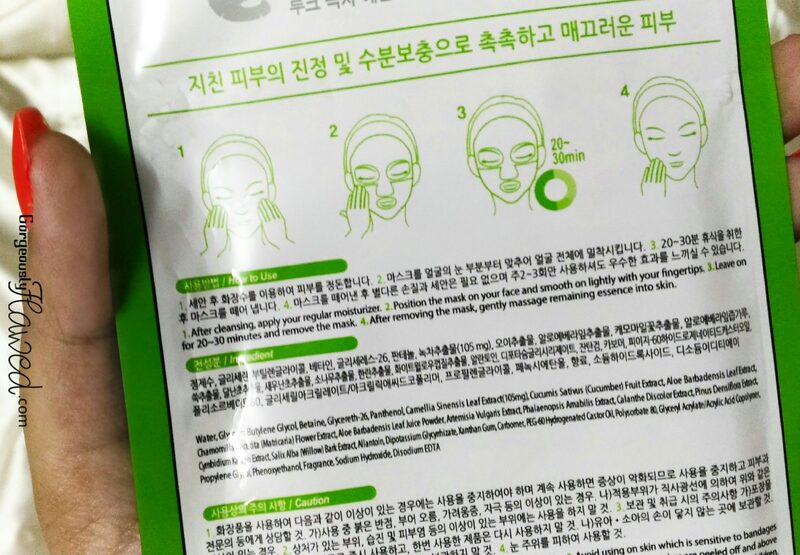 Korean sheet masks are actually meant for hydration and moisturization of the skin, but since this one contained green tea extracts, I thought it might work on reducing my acne. The Luke Green Tea Essence Mask helped me to reduce the redness around my acne, but didn’t do anything significant about their size. Korean sheet masks like this one are really great for those days when you are tired and you feel that your skin needs some relaxation. This green tea based mask gave my skin cooling sensation as soon as I put it on my face. I kept it on for about 25-30 minutes and massaged the left over essence on my face. I washed my face only when I woke up in the morning. I noticed that this mask didn’t have a lot of essence in the packet (like sheet masks usually do), but it was enough for my face and neck area. ☺ Maybe if I had two or more sheet masks of same kind, I would have noticed a noticeable difference in my acne. But I’m satisfied with the results it gave me in the one time use. Moreover, it doesn’t contain any parabens (at least I don’t see them in the ingredients list) so that’s a good thing. Help to soothe the skin. Contains extracts of various natural ingredients. Doesn’t do anything much on acne or whiteheads. Green Tea seems to be so “in” these days! I found the packaging so sweet, and it’s good that it reduced redness, but nothing about acne. I don’t know what to say, cause I never had acne, but a friend of mine has and only one medicine helped her. Hope you have a great week! I so want to try out this mask as I love green tea! I love using green tea on my skin so this mask definitely makes me want to try. It’s nice that it helped to reduce the redness, and regarding acne I don’t think you can reduce it by just one use! Anyways loved your review dear? Nice information. It is paraben free that is wonderful. I would like to try this mask. Thanks. Packaging is too good. Nice and detailed review. I have received some other variant than this. After reading your review am tempted to try it ? I used to drink green tea 3 years back, now stopped it… I know it has anti-oxidants that’s good for the skin and moisturizes skin. This is good for anti-aging too, good they have green tea face sheets.